CRM Real Estate Investing Software, Solutions - Defined Ventures, Inc.
Customizable solutions for real estate investors. Investing in real estate can be remarkably profitable – but it takes real work. In order to experience success, you have to stay organized, on the ball, and ready to jump on last-minute opportunities before other investors get to them. Between reaching out to leads, organizing legal sales and buying processes, and growing your business, running your real estate investment business can be hectic. CRM real estate investing software takes the pain out of running your investment business by streamlining your access to critical software platforms. Free up time to close deals and organize your business by using Podio to manage your leads. 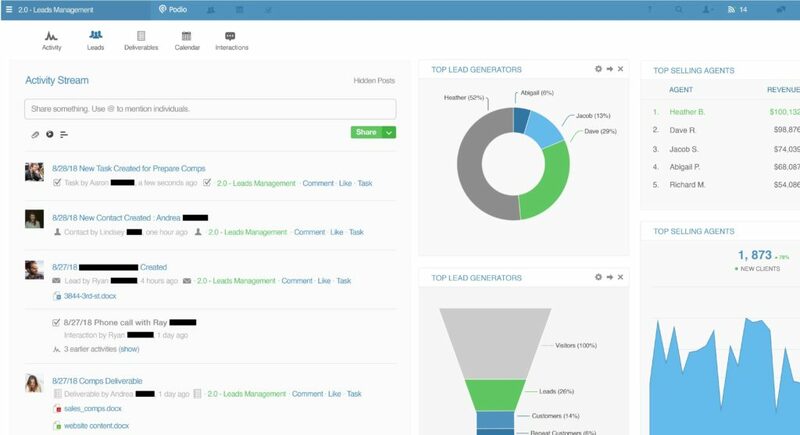 We set you up with a customized lead management CRM that is tailored to your business, your team, and your workflow. Automate time-consuming activities like creating and delegating tasks, follow-ups, and pulling reports, while staying in contact with your team. 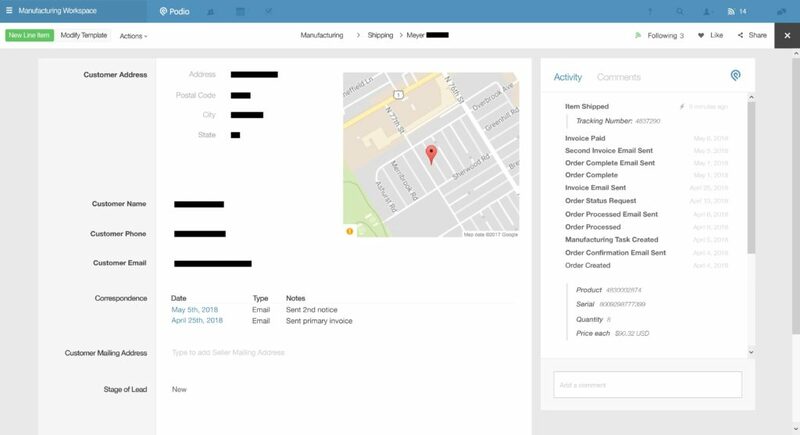 No more searching for scattered data and contacts – now you can run every facet of your business all in one place. Combining the powers of Panda Doc and Podio means you can sign, send, and automatically attach documents to individual sellers and buyers. Track which agent is the most effective at converting leads, as well as how much time is being spent on each lead. By connecting Podio with MailChimp, you can send, manage, and monitor your newsletters and updates, as well as set up automatic status emails as your lead moves through the process. Improved communication, monitoring, and automated follow-ups. At Defined Ventures, we develop ever CRM software for real estate investors with one thing in mind: your efficiency and quality of life at work. Each platform is packed with feature-rich benefits designed to let you automate, streamline, organize, arrange, assign, and analyze your most critical data in seconds. Unlike off-the-shelf, cookie cutter CRMs, our software for real estate investors is unique. Every feature provides next-level abilities, tailor-made to best suit industry-specific needs and requirements. That’s what makes our CRM platforms so special. Automate tasks, monitor agent-related duties, create to-do lists, and plan ahead for anticipated workloads. At Defined Ventures, we know the real estate industry and busy investors often are throughout the year. Your focus is on finding leads, sealing the deal, and moving on to the next potential investment. Our focus is on finding ways to help you do that while also trimming back on time and effort investment. With our CRM real estate investing software, task automation factors like to-do lists, assigned tasks in multi-investor firms, and task forecasting is easier than ever. You can add, remove, assign, manage, and move tasks around in seconds. Naturally, it’s easier to stay ahead of the pack because you can plan out your days, weeks, months, and even years, especially compared to manual spreadsheeting and tracking. Delegating the same tasks week after week? Missing follow-up reminders? Letting administrative tasks fall by the wayside? With Podio, a customized task sequence is created with each one of our clients, so you can think less about the mundane and focus on the future. Declutter and organize all your paperwork. One of the biggest time-wasters in the real estate industry is paperwork. Despite the fact that we’re slowly moving to computerized systems, many states and cities still require paper contracts, receipts, and deeds for real estate sales and purchases. Add to this the need to keep thorough records for the IRA and clients – it’s a significant amount of paper to file, organize, and keep for up to seven years. If you’re blogging, communicating with clients, sending out memos, reaching out to clients via snail mail, or even sending out promos, you may even have paperwork on file for these activities, too. Being able to access what you need quickly and easily from anywhere? That makes much more sense. Stop searching through endless emails, Google Drive, text messages, and phone calls to find what you’re looking for. Integrate a documentation management platform, like Panda Doc, to easily send, sign, and attach ALL client documentation to their Podio profile. Now you can keep your client profiles comprehensive and detailed. Your employees will thank you! Customizable dashboards for enhanced performance data visualization. Investing is all about maximizing your profit, no matter what industry you invest in. In order to make your investments succeed, you need to be able to see months worth of data and visualize it for better digestion. Many investors turn to innovative forecasting tools that map out factors like local market statistics, year-end sales, current real estate trends, and even client or lead lists. We can help you integrate those tools into your CRM software for real estate investors. By integrating a stunning reporting software, like Tableau, to your Podio system, you can see up-to-date reporting on a daily, weekly, or monthly basis. Because Tableau and Podio are so customizable, you can collect data within Podio – across several departments – to gather a comprehensive view of your return on investments. From daily views to yearly projections, you’ll be able to make informed decisions with easy-to-read data. Because our CRM software for real estate investors is so well-suited to the industry, you’ll find it easier than ever to track your ROI. Enjoy increased confidence in your strategy and make adjustments faster than ever when they’re needed. The evidence of your success will always remain just a click away. Maintain good customer record keeping. To an outsider or layperson, it might seem strange for a real estate investor to be concerned about client support. At Defined Ventures, we know better. Your clients are your leads, and without your leads, your business can’t succeed. By ensuring that you’re always responsive and on top of their needs, you’re much more likely to close the deal. Tired of he-said, she-said, the customer is always right? Keep your employees, clients, and yourself organized by logging all communications with each client, right on their profile. No more scattered emails to dig through! Automated emails are logged right on their profile, and agents are able to make notes on each client for internal and external use. Never double-book appointments again! Easily view and manage your team’s schedule and keep tabs on them remotely with Podio. Program your own rules for sending follow-up emails after completing particular tasks and items so no one gets lost. Stay in constant contact with your team by using Podio’s highly-rated app to delegate tasks, schedule appointments, and more. Collect all texts, emails, and touch points in one place; view previous communication and stop spending time searching endlessly for an email! The road to getting your business organized begins with filling out our contact form. If you are unsure about any of the fields, that’s okay! We just want to get a general idea of your business’ wants and needs. After we receive your contact information, our Software Engineer Team will reach out to you with any further questions or clarifications. 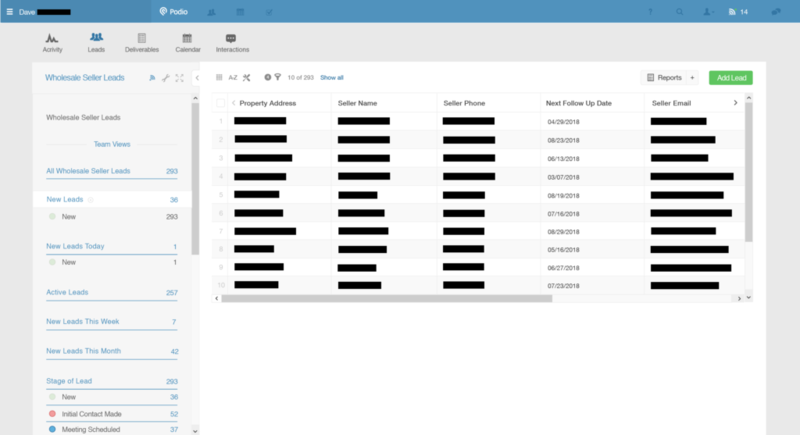 In our onboarding call, we’ll show you a demo of our base template, plus additional integrations and add-on features. This is where we can assess your business needs and customize your CRM to fit. The main goal of our onboarding call is to determine which features best suit your business. We’ll go over workflow, employee roles, and goals. It only takes us five business days to connect your customized system. We’ll meet again to make sure it’s exactly to your specifications. We then turn it over to you and your team for bug test and approval. We recommend allowing for two weeks of employee training and implementation. We will be available if you have any questions. We are a team of business consultants, software engineers, and designers, that help stressed-out businesses strategize, streamline operations, and automate processes.